The information contained in soursopleaves.com.au is for general information purposes only. The information is provided by soursopleaves.com.au and while we endeavour to keep the information up to date and correct, we make no representations or warranties of any kind, express or implied, about the completeness, accuracy, reliability, suitability or availability with respect to soursopleaves.com.au or the information, products, services, or related graphics contained on soursopleaves.com.au for any purpose. Any reliance you place on such information is therefore strictly at your own risk. In no event will we be liable for any loss or damage including without limitation, indirect or consequential loss or damage, or any loss or damage whatsoever arising from loss of data or profits arising out of, or in connection with, the use of soursopleaves.com.au. Through soursopleaves.com.au you are able to link to other websites which are not under the control of soursopleaves.com.au. We have no control over the nature, content and availability of those sites. The inclusion of any links does not necessarily imply a recommendation or endorse the views expressed within them. Every effort is made to keep soursopleaves.com.au up and running smoothly. However,soursopleaves.com.au takes no responsibility for, and will not be liable for, soursopleaves.com.au being temporarily unavailable due to technical issues beyond our control. soursopleaves.com.au contains general information about medical conditions and treatments. The information is not advice, and should not be treated as such. 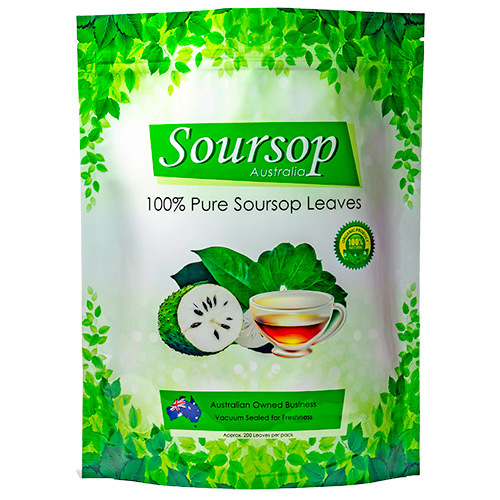 The medical information on soursopleaves.com.au is provided without any representations or warranties, express or implied. soursopleaves.com.au makes no representations or warranties in relation to the medical information on soursopleaves.com.au. (b) the medical information on soursopleaves.com.au is complete, true, accurate, up-to-date, or non-misleading. If you have any specific questions about any medical matter you should consult your doctor or other professional healthcare provider. If you think you may be suffering from any medical condition you should seek immediate medical attention. 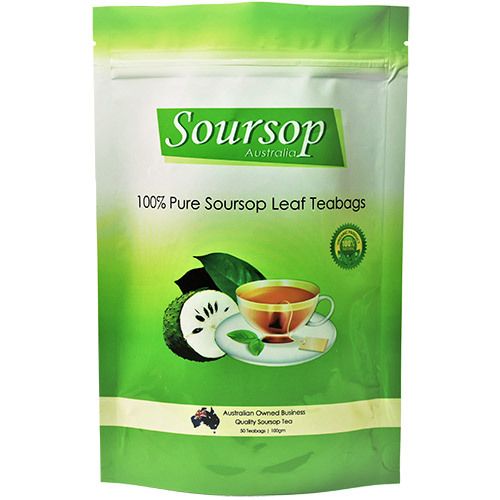 You should never delay seeking medical advice, disregard medical advice, or discontinue medical treatment because of information on soursopleaves.com.au. You agree not to hold us liable for any damages arising from or relating to your reliance on any of the medical information provided on soursopleaves.com.au. Additionally, you agree not to repeat the medical information that you read on soursopleaves.com.au to a third party, as that third party may not have read this disclaimer and understood the caveats involved in receiving the information. If you should repeat the medical information that you read on soursopleaves.com.au to a third party, whether through writing, electronically, or orally, you agree that you will indemnify us and defend us against any claims for damages by that or any other third party which received its information as a result of your actions, either in whole or in part. In other words, if the third party you told the information to repeats it to another third party, you must indemnify us and defend us against claims made by either of those third parties. soursopleaves.com.au cannot be held responsible for the side effects of taking any of our products. The owners of this website, nor the designer of the site accept any responsibility for such use. No claims or guarantees, express or implied, are made for any clinical or therapeutic applications of any products mentioned herein.